Are you ready for the Road to Rotterdam? Another day, another update for the League of Legends Public Beta Environment. 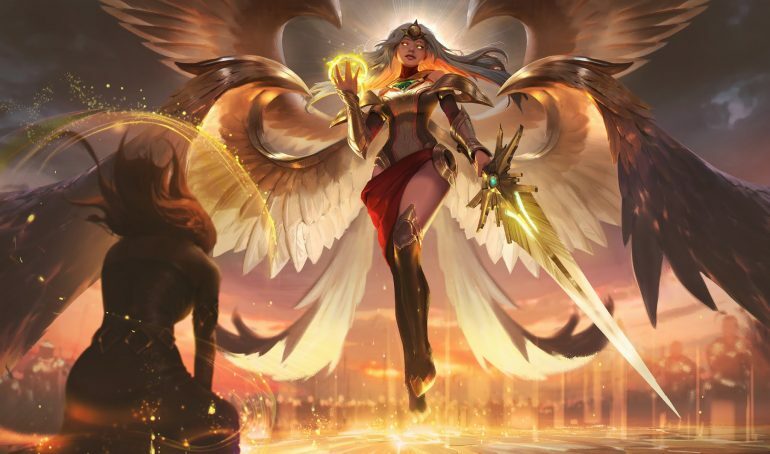 This time around, we are getting some changes to the recently-updated Kayle, while also getting some summoner icons and a shiny new login screen. Despite assertions that Kayle was “Getting nerfed cause Rito lost to her in a silver game,” her winrate went up this patch by 1-2% (high MMR went up more) due to the W and E buffs we put in. Likely too strong in all MMR’s. As a result, Kayle is seeing slight reductions to her AD ratios. Her W, Celestial Blessing, is also being adjusted. Movement speed gained from the ability is being lowered from 26/32/38/44/50 percent to 24/28/32/36/40 percent. Her AP is increasing by one percent as well. Kayle’s Starfire Spellblade is also being changed, as the mana cost will now be a flat 60 at all ranks, instead of costing 50/55/60/65/70. She will also do less bonus damage from her target’s missing health, as the ability is going from 10/12.5/15/17.5/20 percent bonus damage to 10/11/12/13/14 percent bonus damage. On the client-focused changes, people will be welcomed to the game with a 2019 LEC playoff-themed login screen. Additionally, players will also have two new summoner icons to choose from—the Season 2019 Split Two icon and the Bligewater 2019 icon.